Hi-Tech Crime Solutions Vulnerability Tests cannot rely on commercial vulnerability scanners, but the vulnerability scanners used by black hat hackers. Hi-Tech Crime Solutions does not use only one vulnerability scanner, but five different scanners often used by black hat hackers, to make sure that when a client receives a Vulnerability Test Report that it is accurate. Scanning an IP address or network is just one part of assessing a clients network. 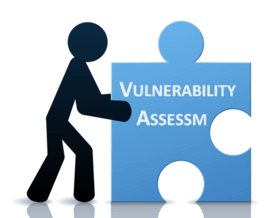 The information to follow will detail all that is included in a Vulnerability Test.